Andreas Florin was born in Siegen Germany. When he was 15 years of age he became interested at electronic music. He became interested by listening to Members of Mayday and Cherrymoon (Bonzai!!). After years of partying in clubs like The Omen (!) and Aufschwung Ost he started DJ-ing. In 2002 he started producing and soon he has reached his own style of producing. A mixture of all kinds of techno-elements. 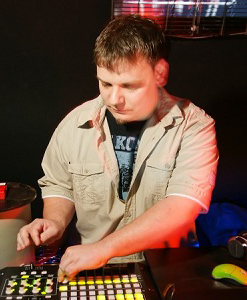 Since 2008 he is manager of the labels electronic pulse and we call it hard records! !